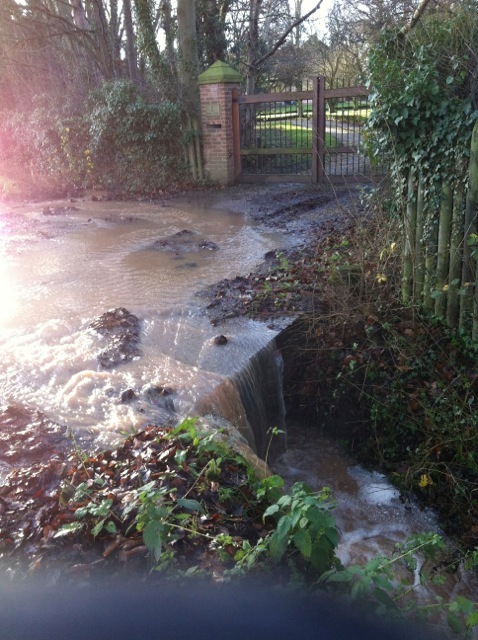 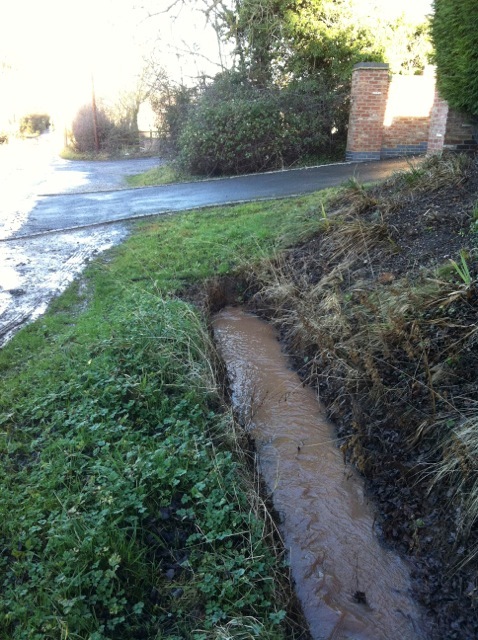 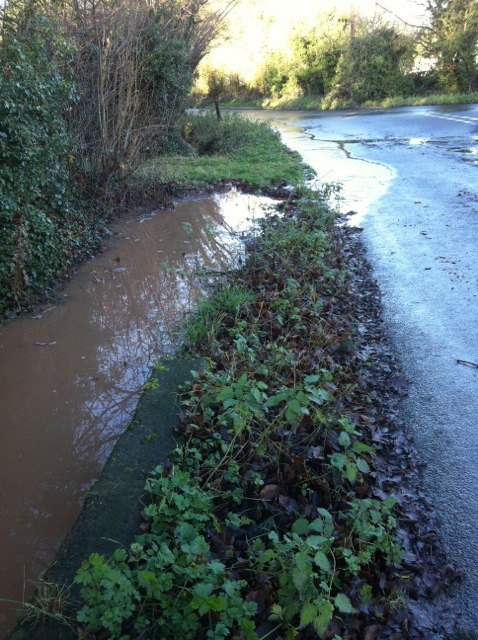 Trench cut through verge at bottom of Park Lane to prevent water running onto Nottingham Road. 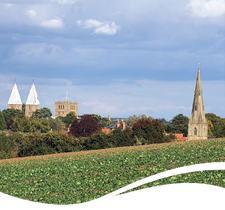 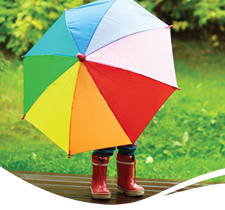 Southwell Methodist Church – 11th to 14th December. 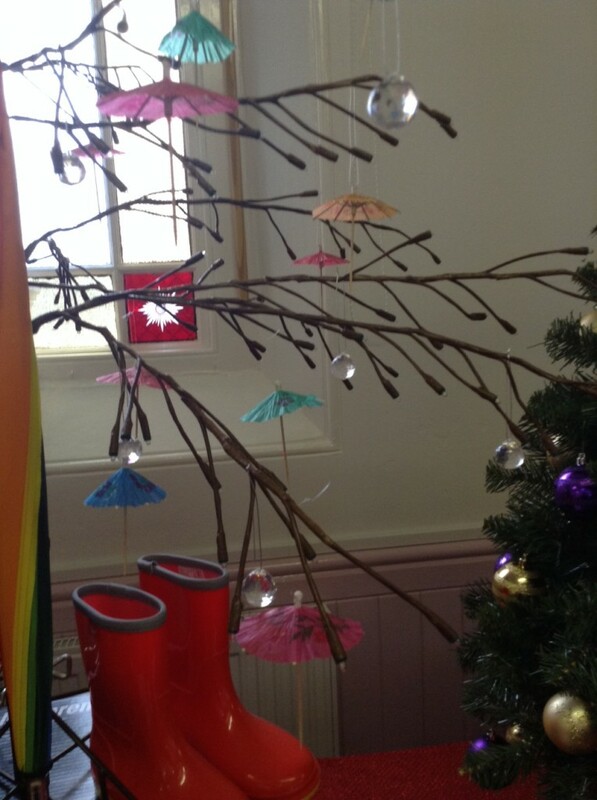 Southwell Flood Forum decorated a Christmas Tree for this event. 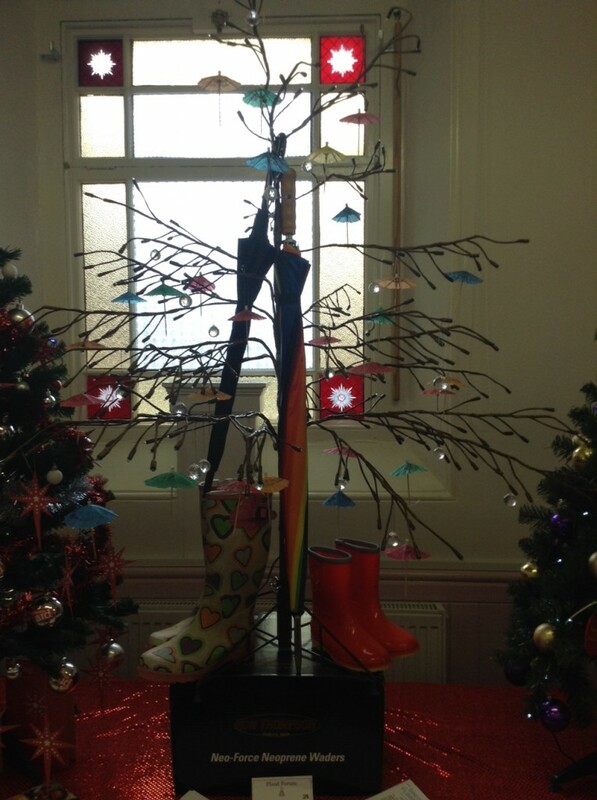 This year the monies donated will be equally shared between The Air Ambulance and the Methodist Church. 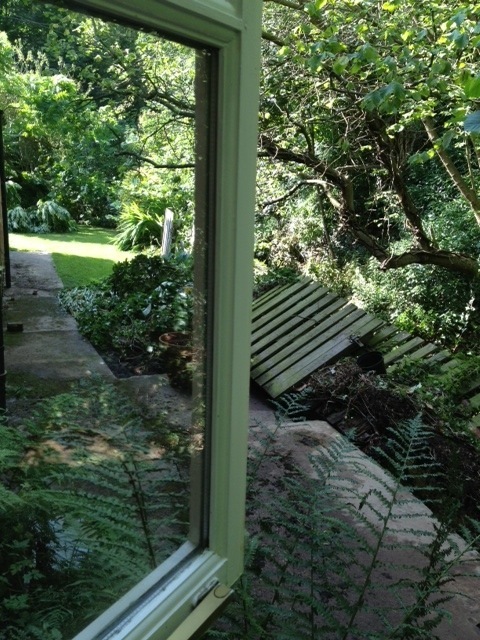 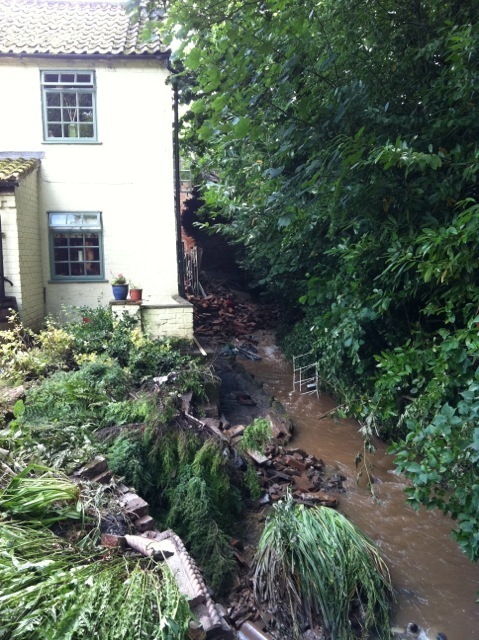 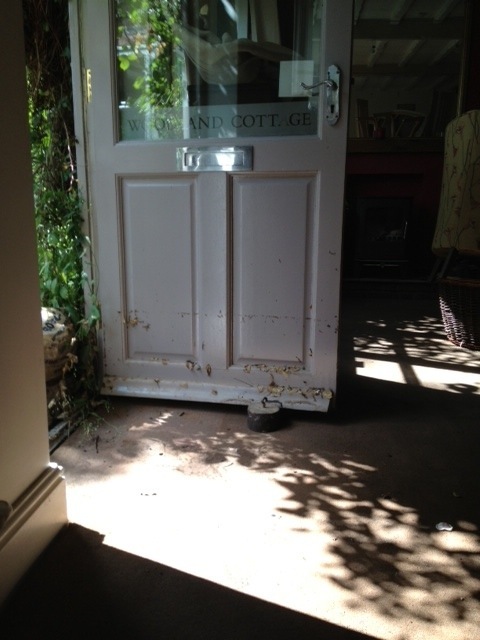 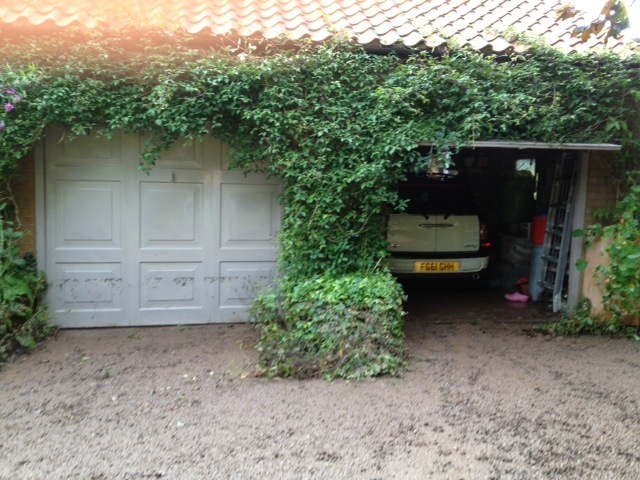 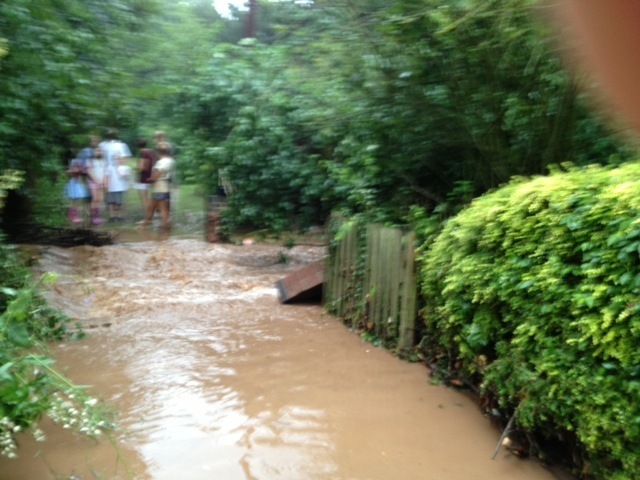 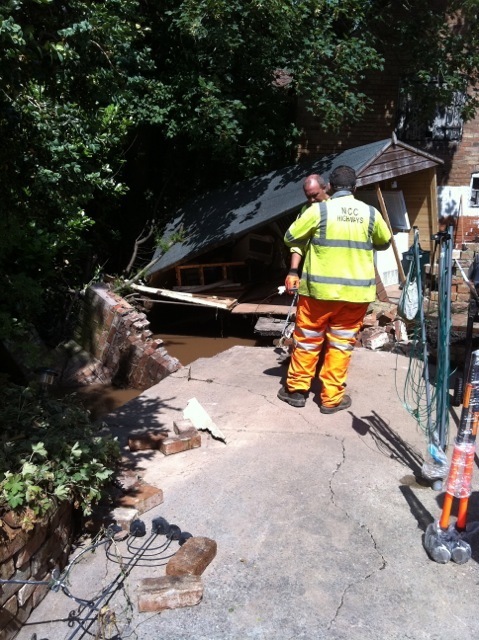 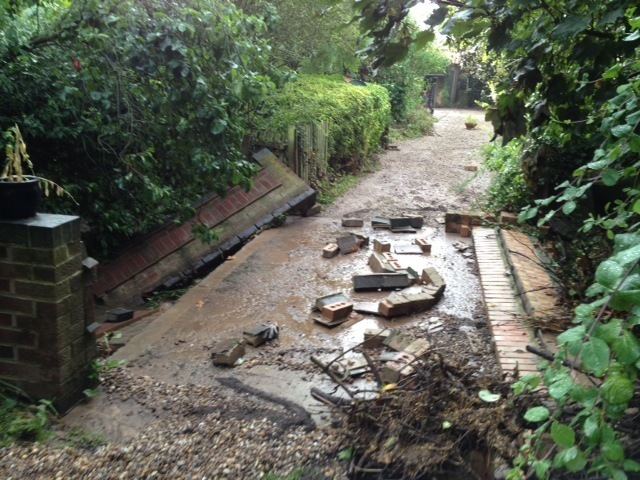 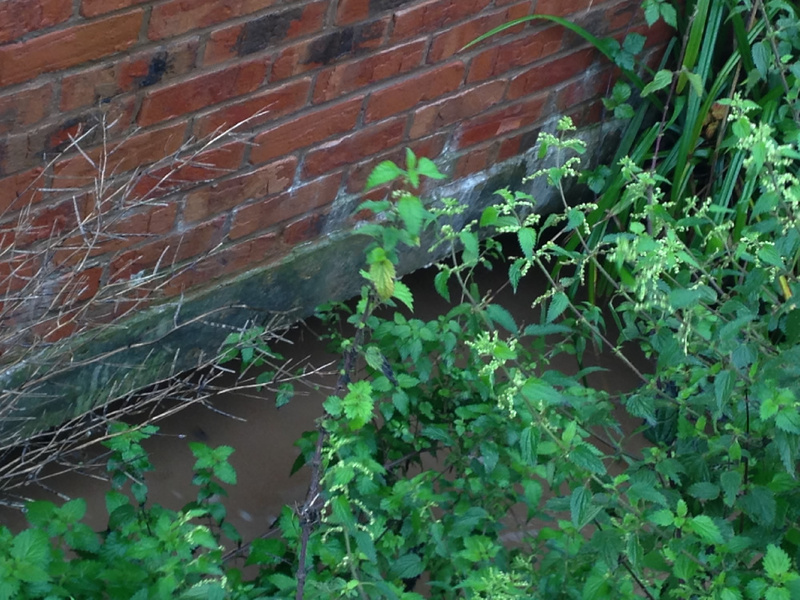 The collapsed brickwork is what was formerly walls along the edge of the bridge on our driveway over the dyke. 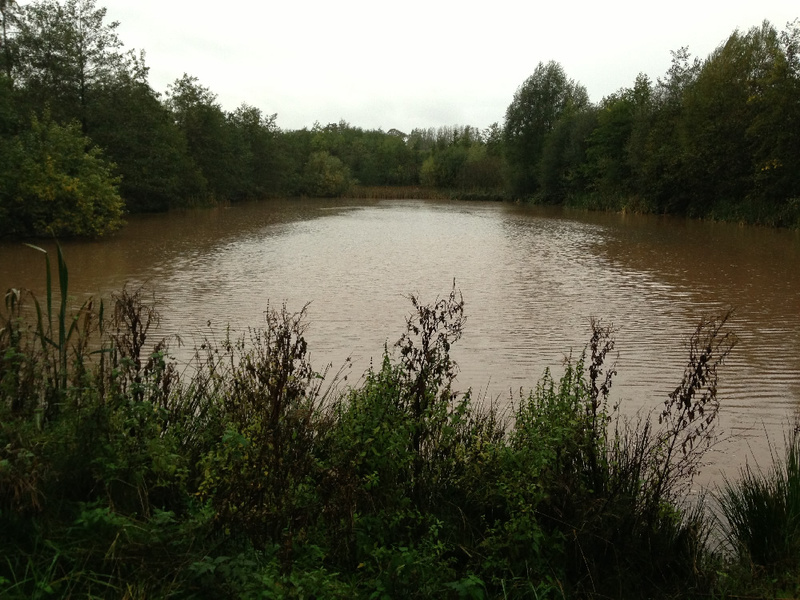 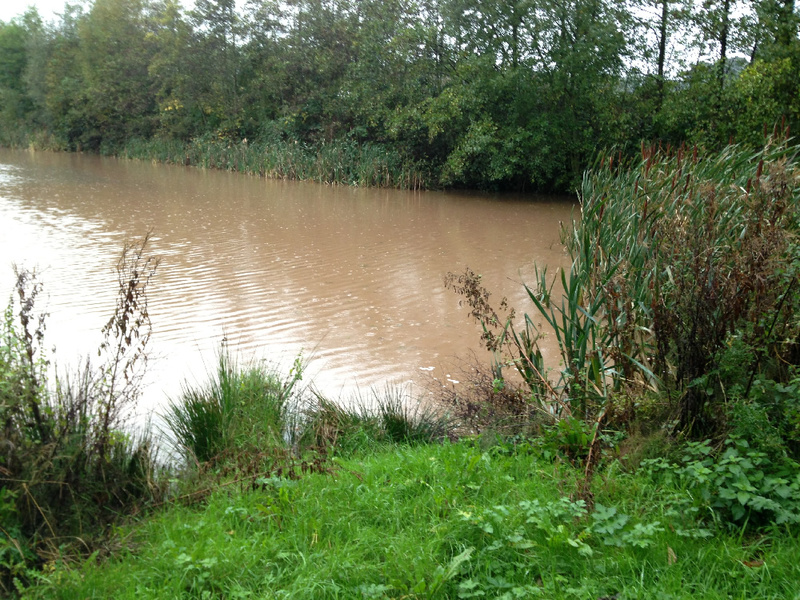 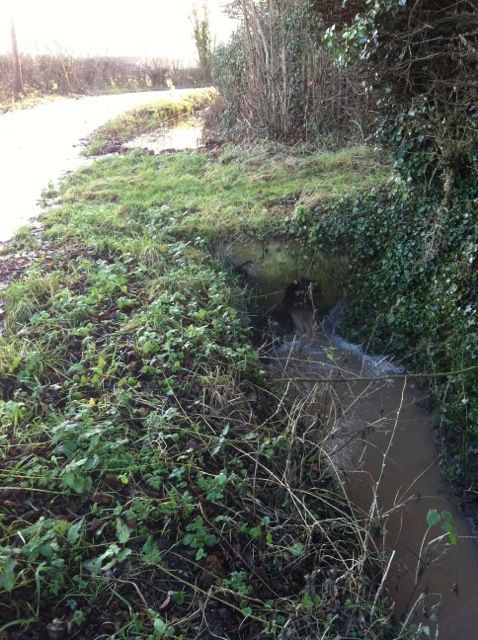 These collapsed due to the force of the water coming down the dyke. 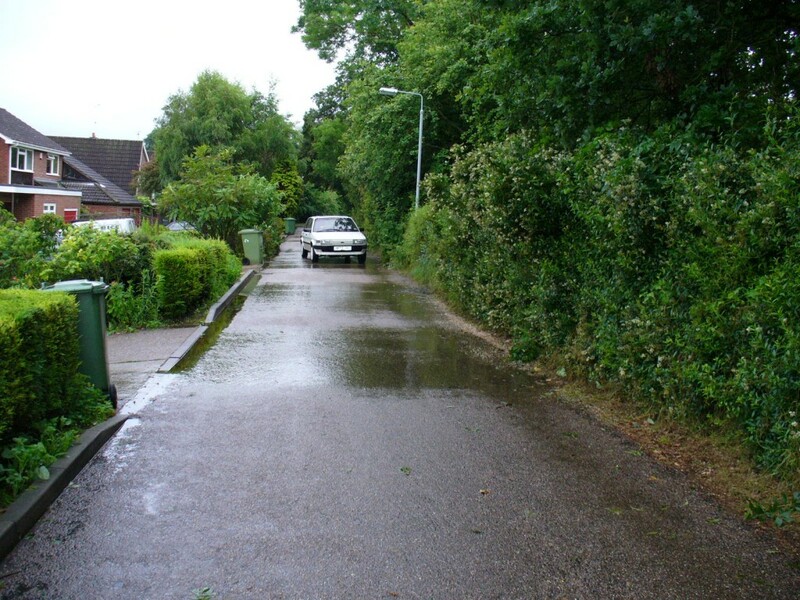 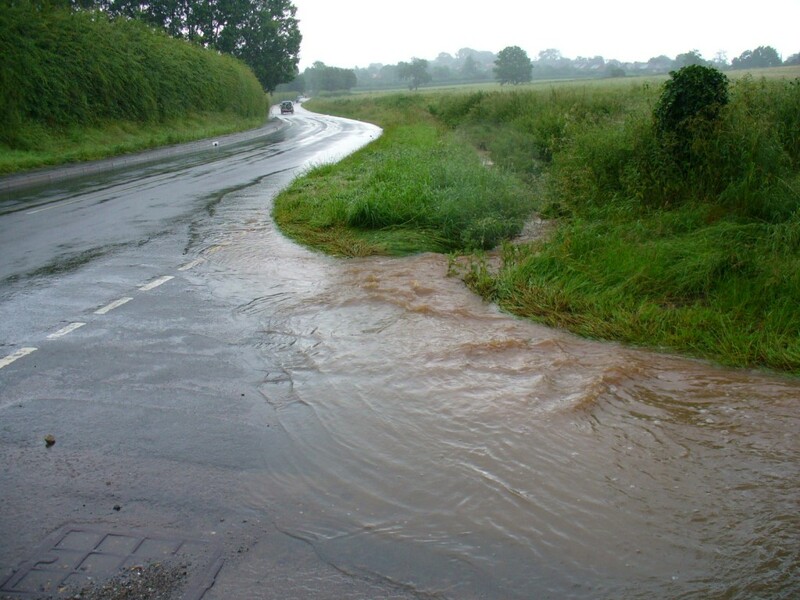 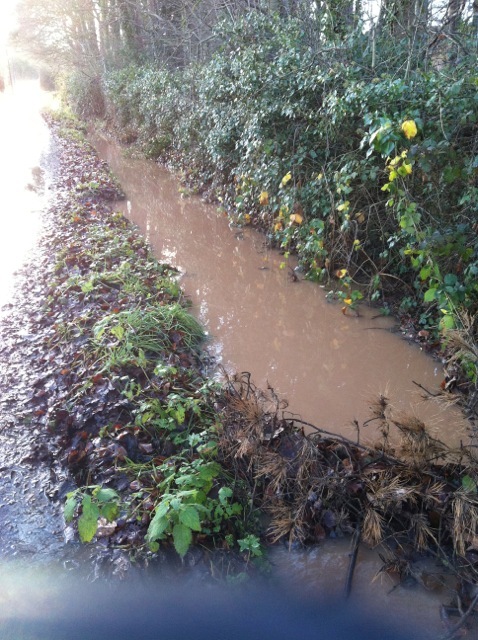 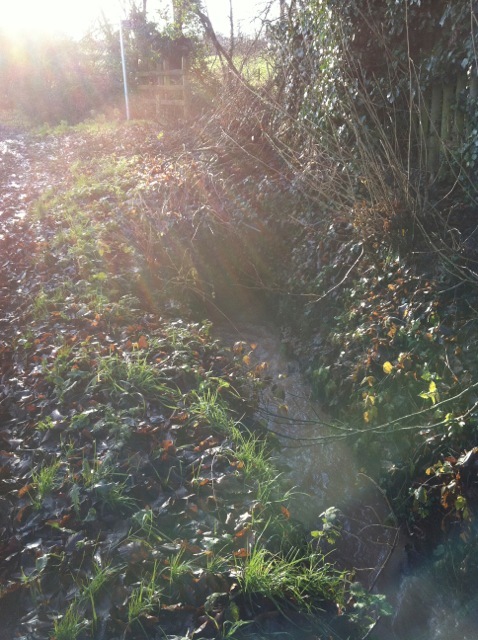 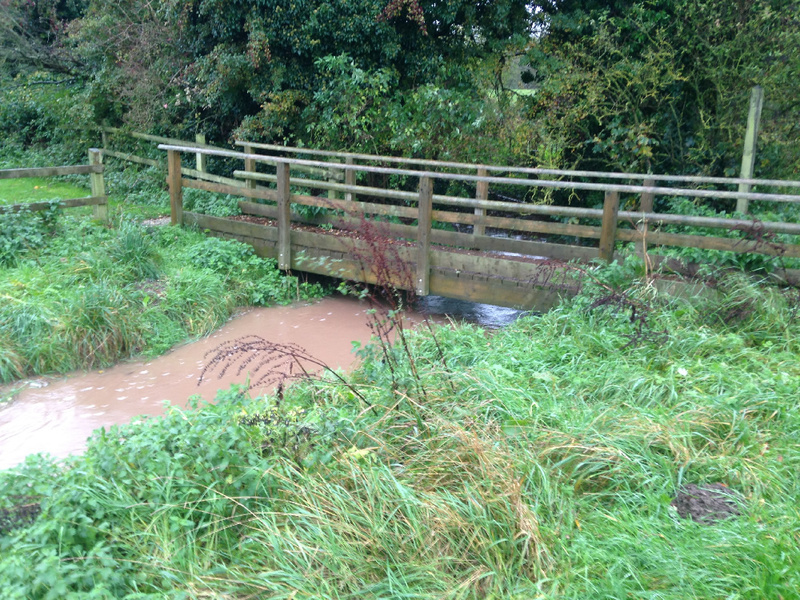 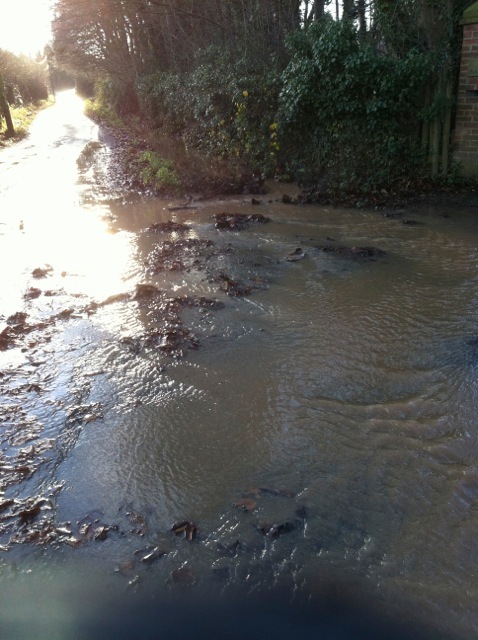 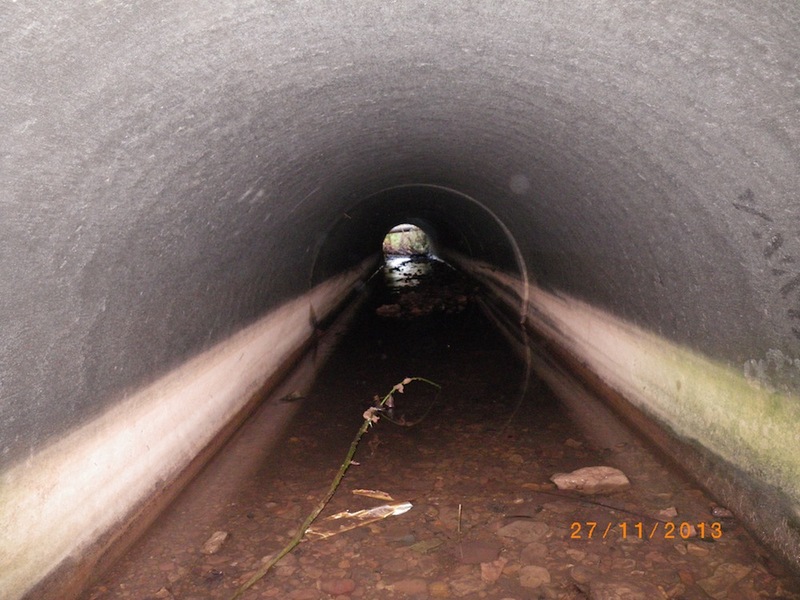 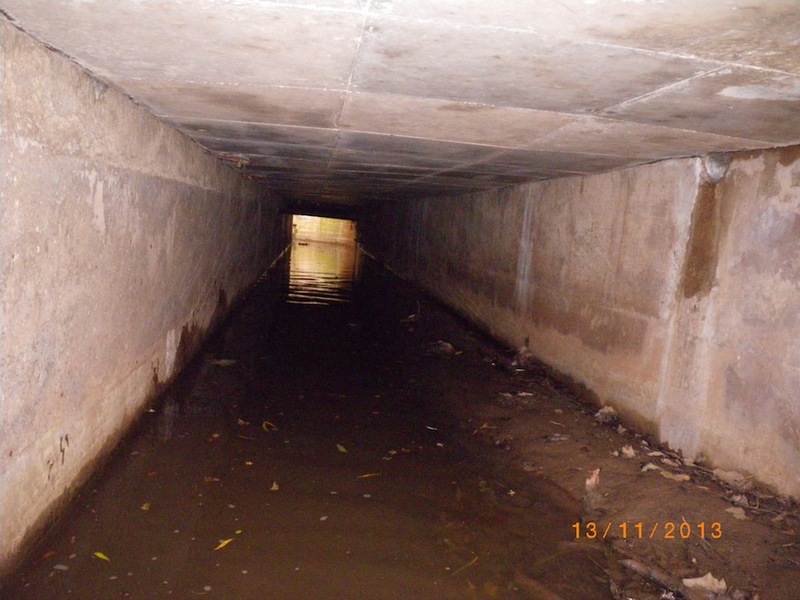 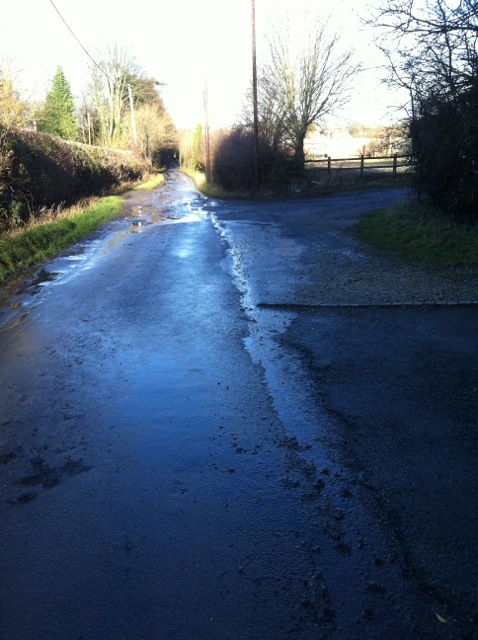 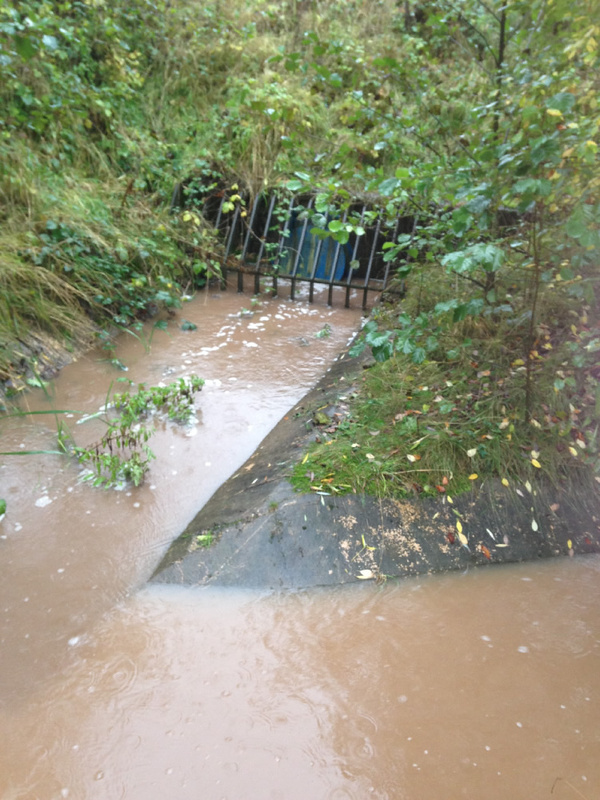 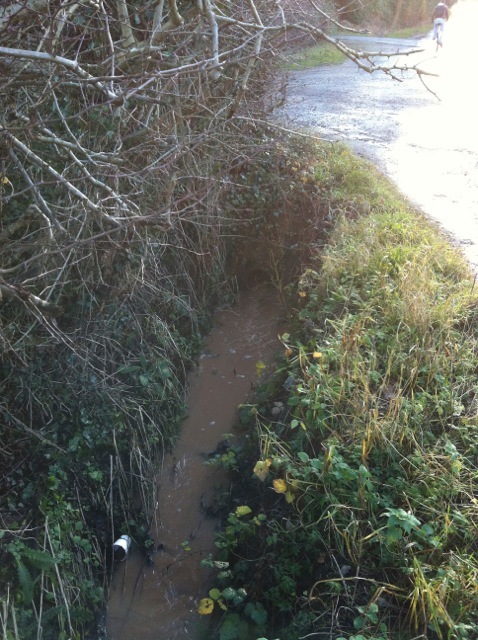 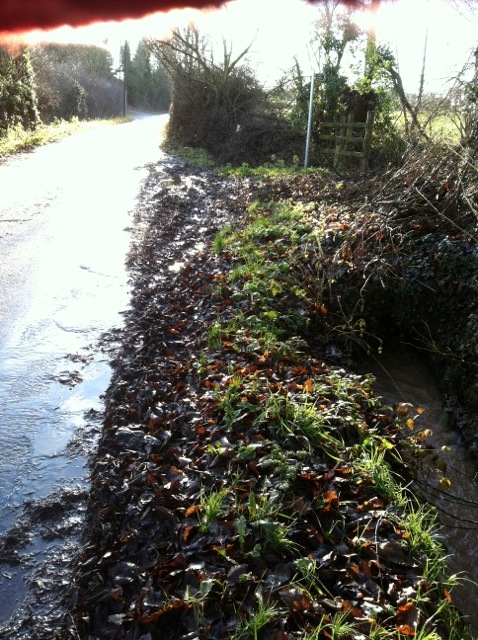 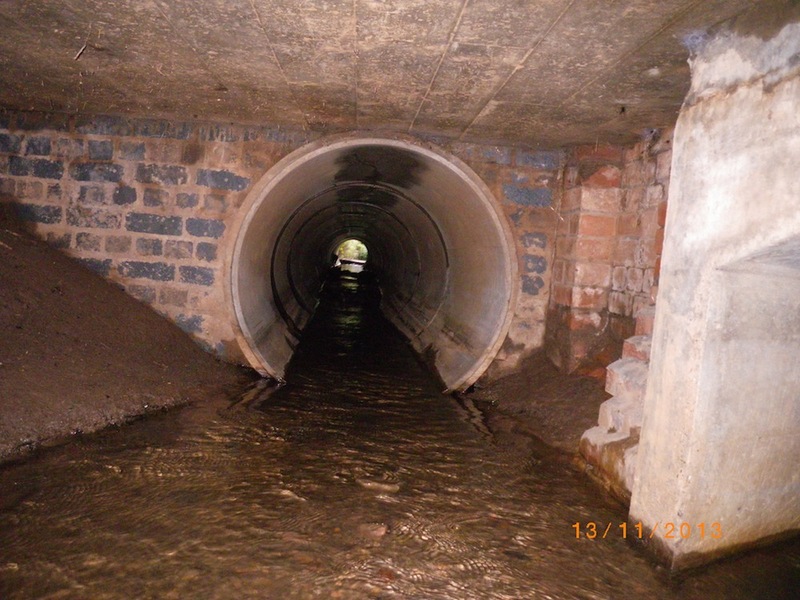 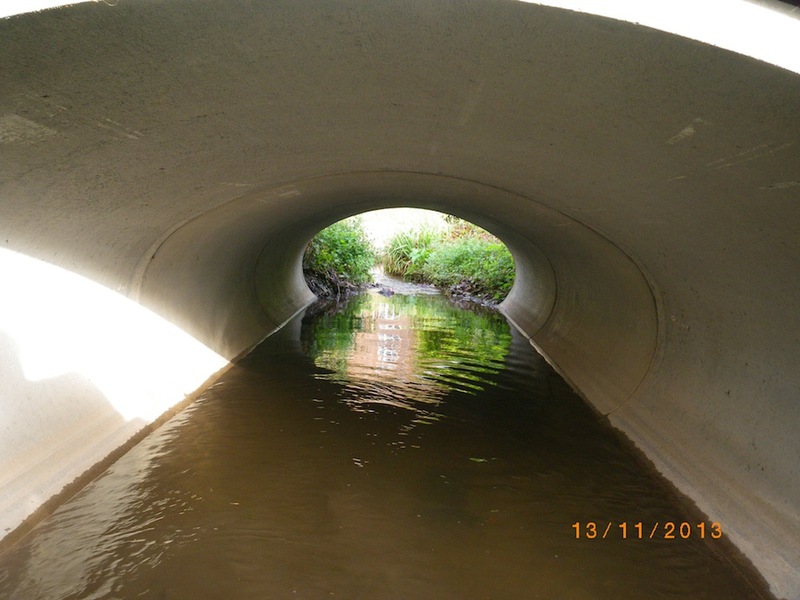 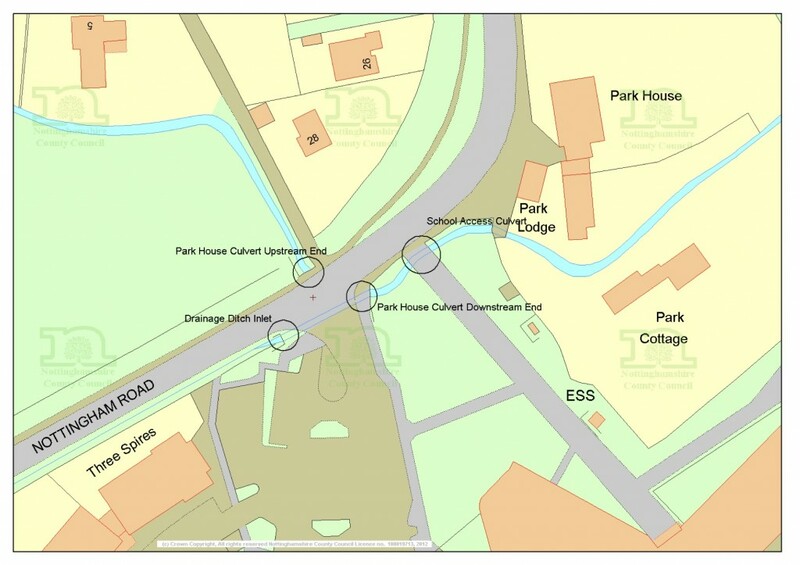 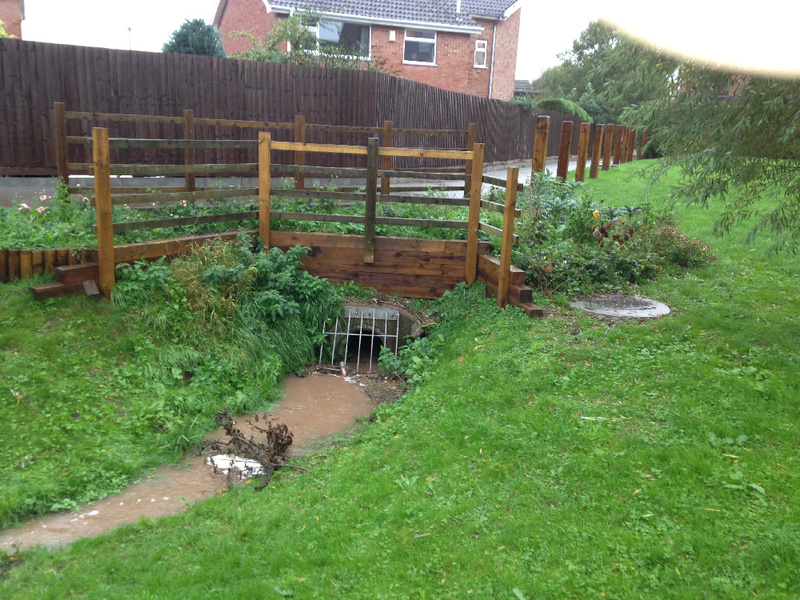 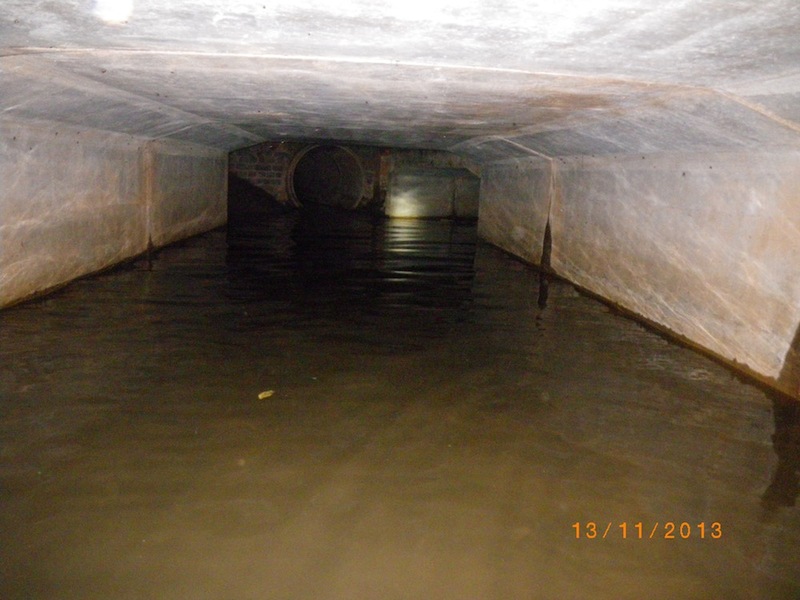 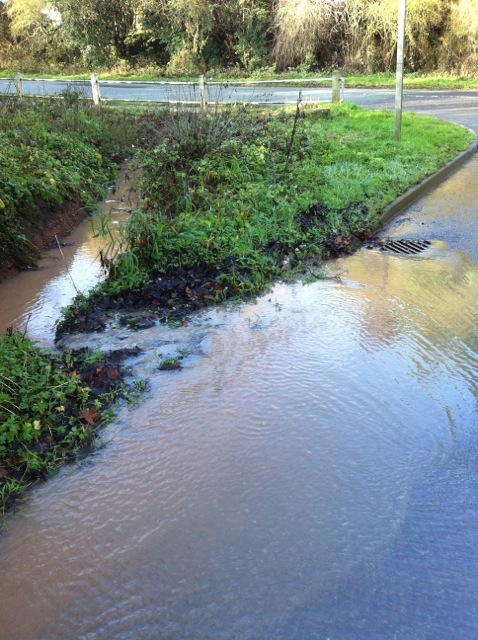 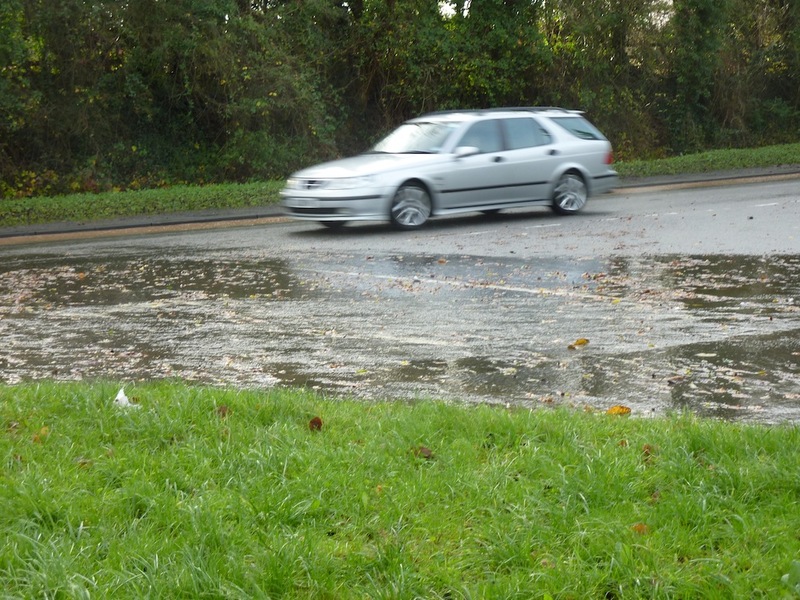 The culverts under Nottingham Road and Hallougton Road have been inspected by Nottinghamshire County Council and apart from a temporary sign and two kerb stones which are going to be removed the flows through the culverts are not impeded as the photographs below show. 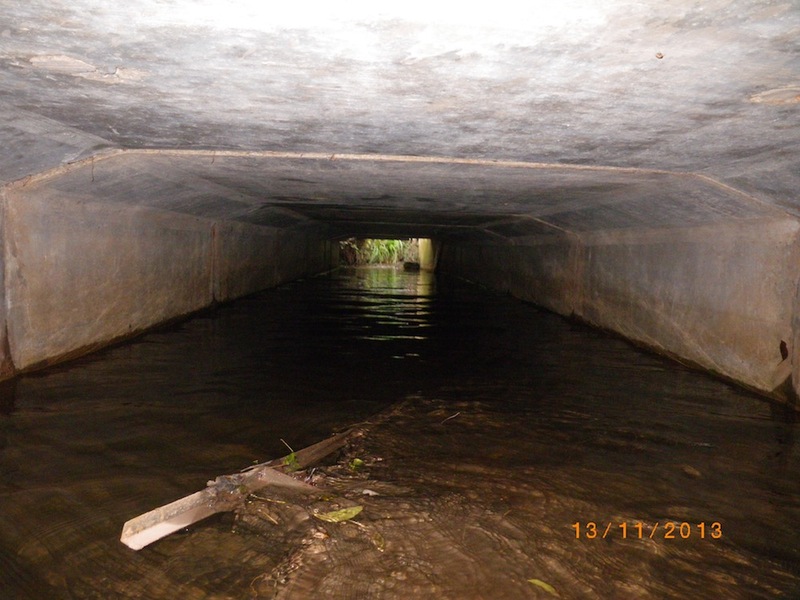 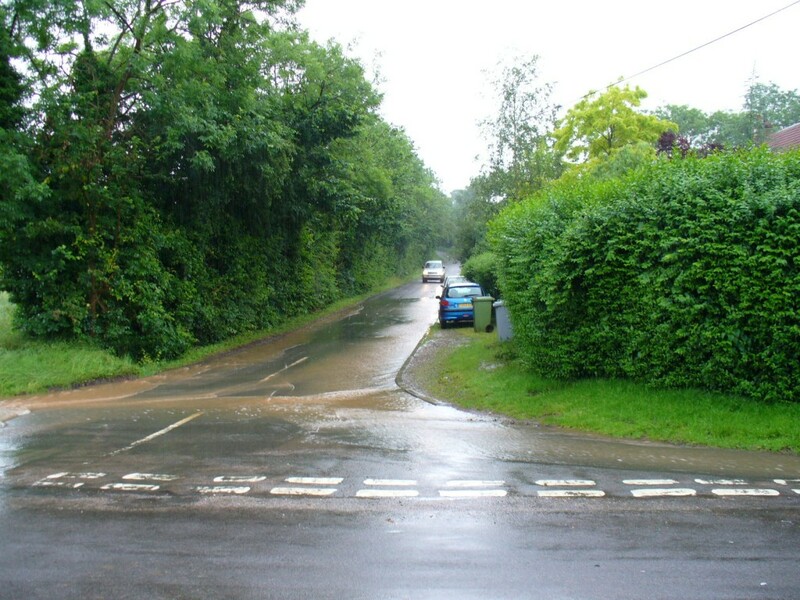 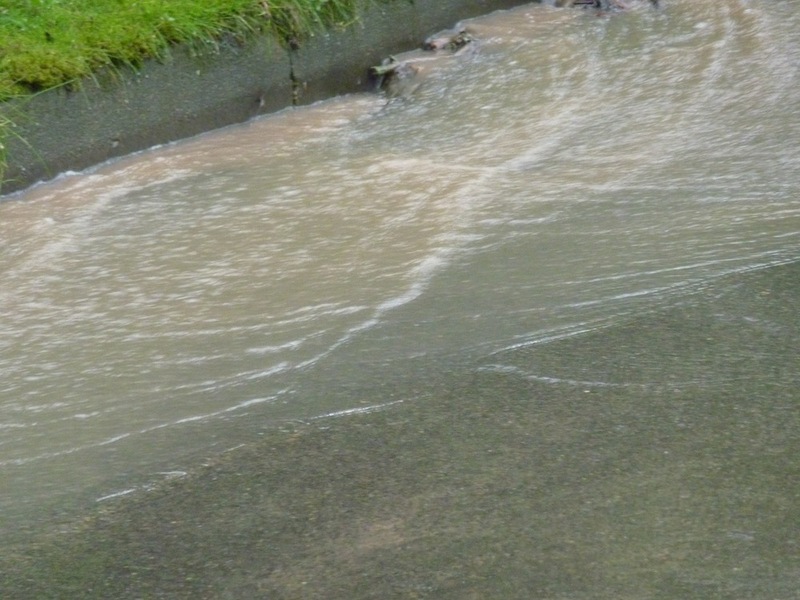 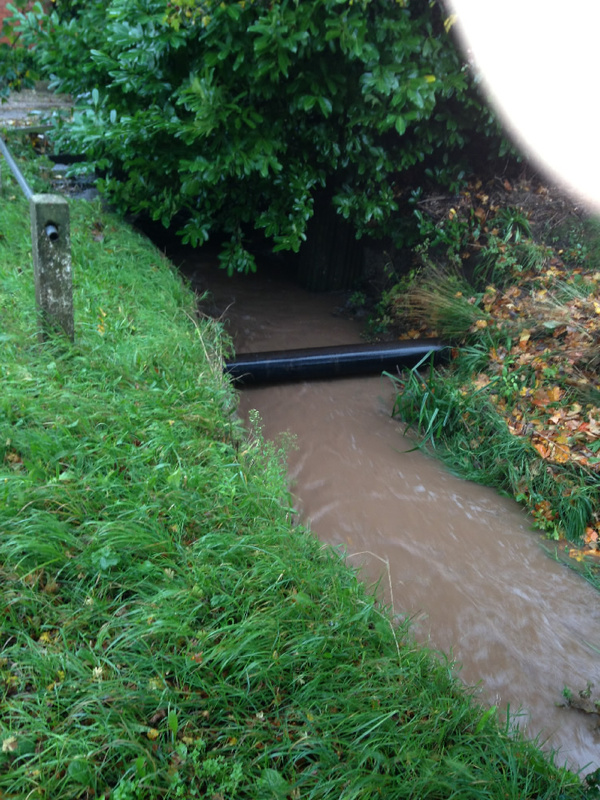 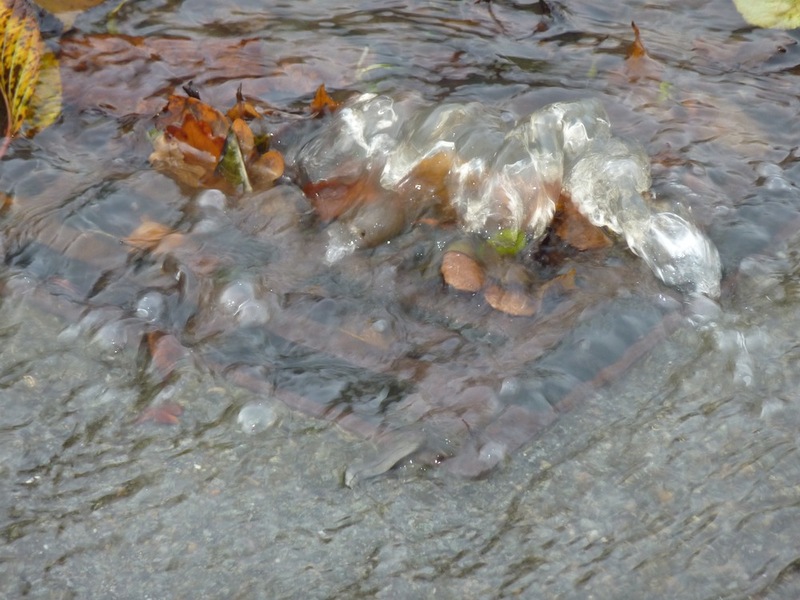 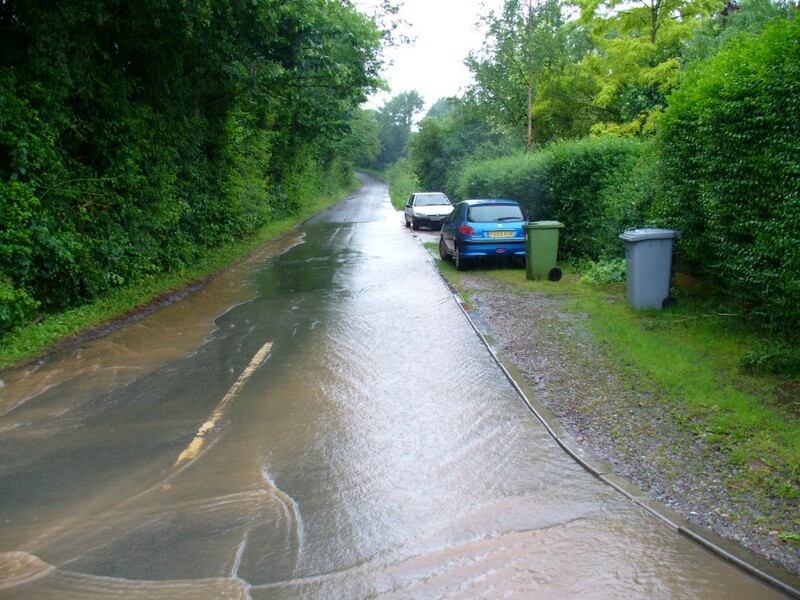 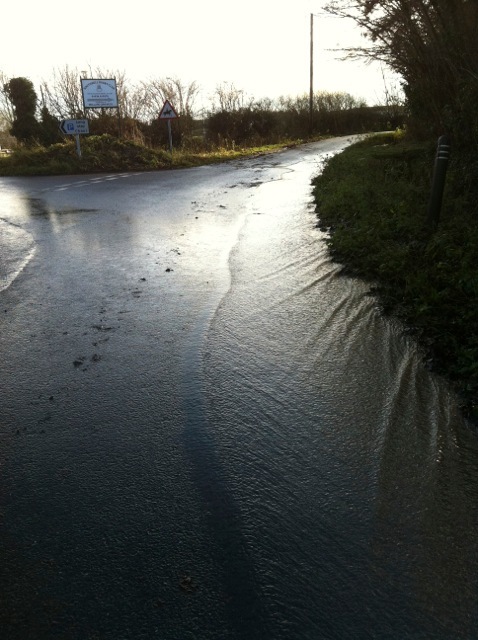 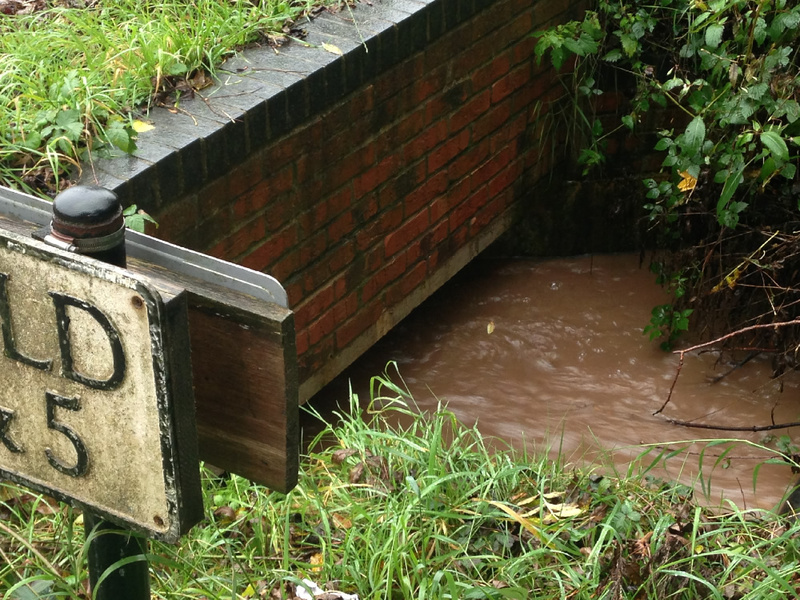 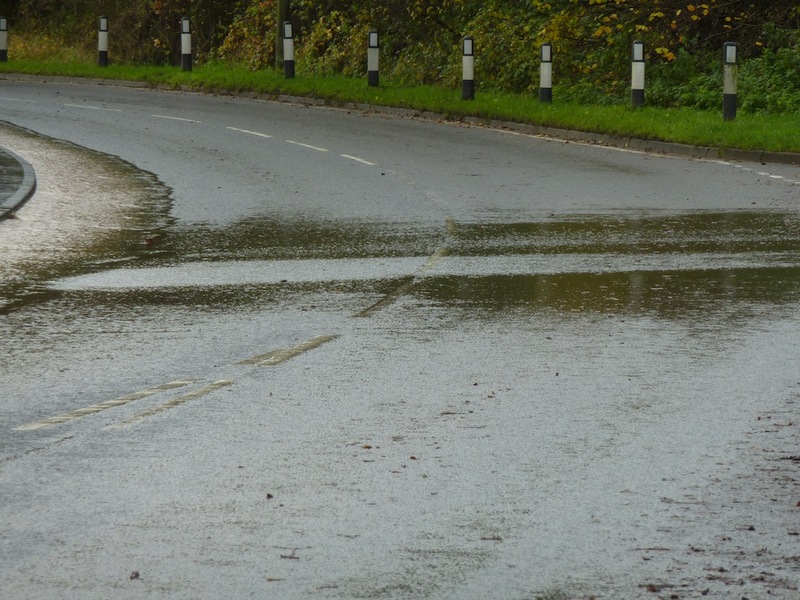 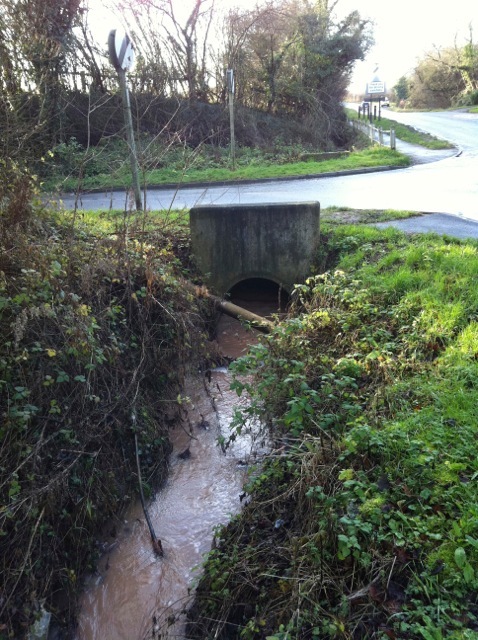 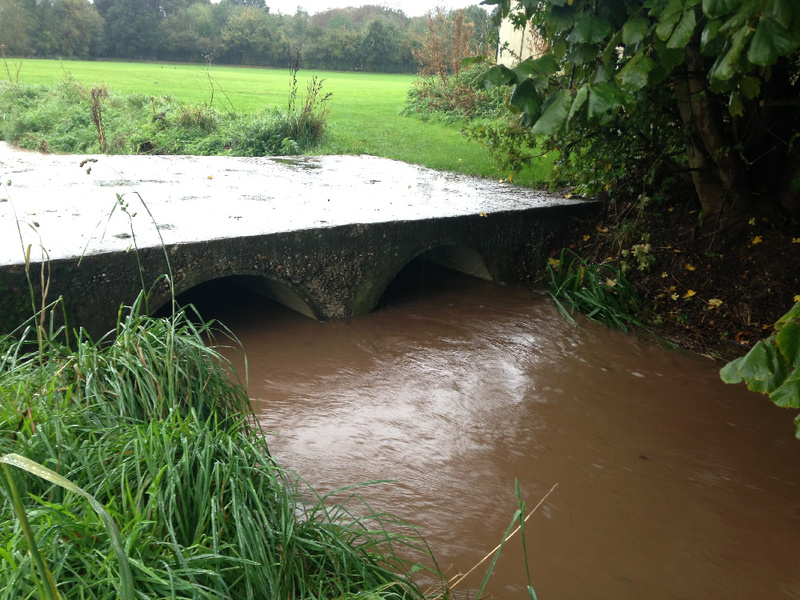 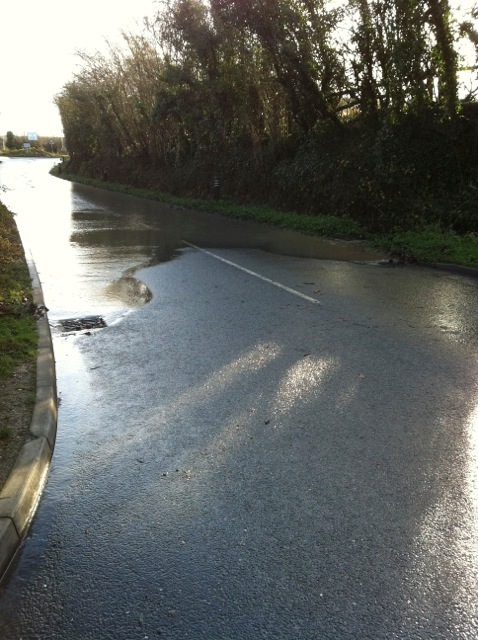 These culverts handle water coming out of “Springfield Dumble” which runs alongside Hallaughton Road in Brackenhurst Land. 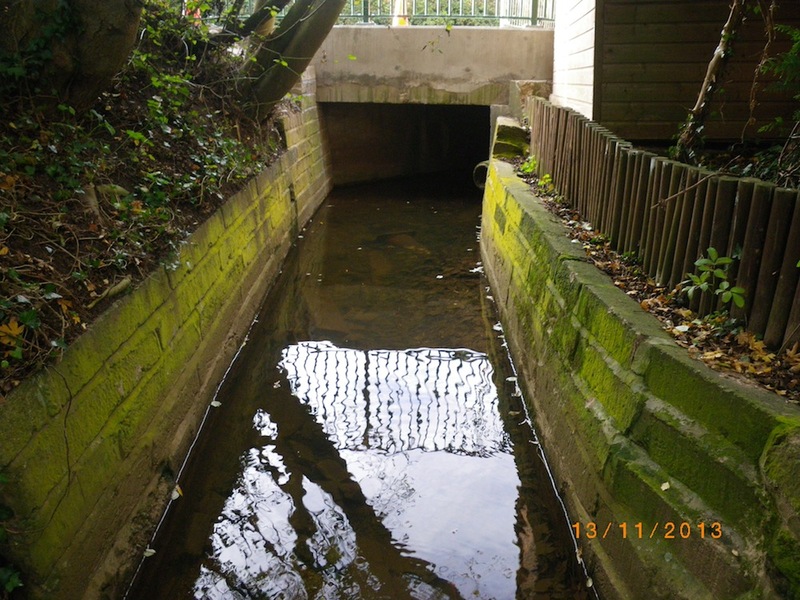 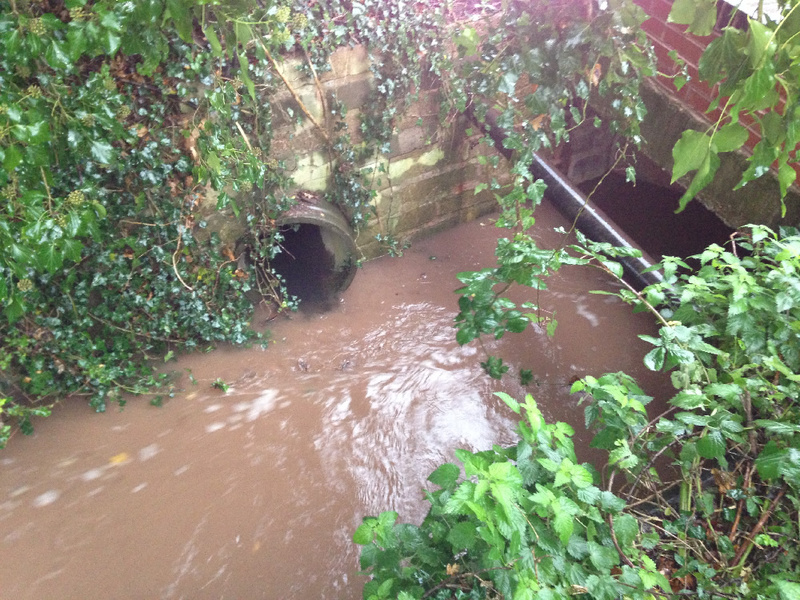 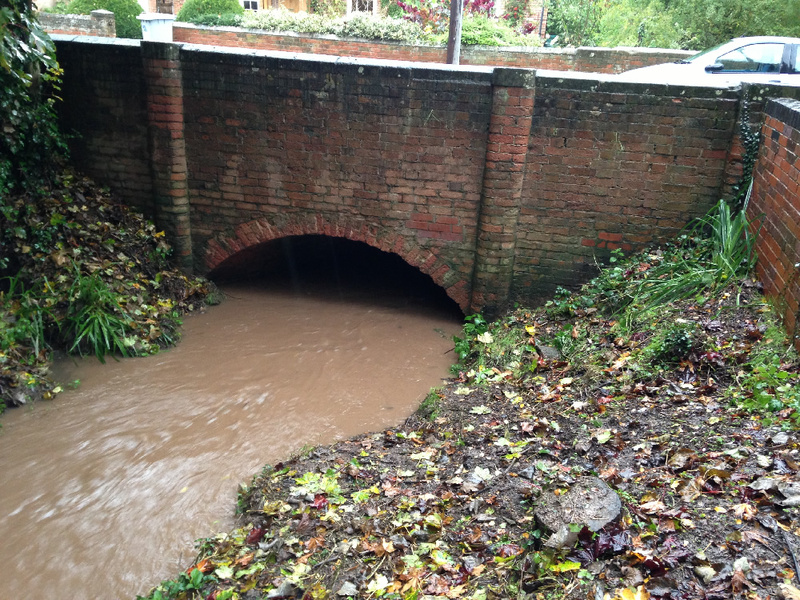 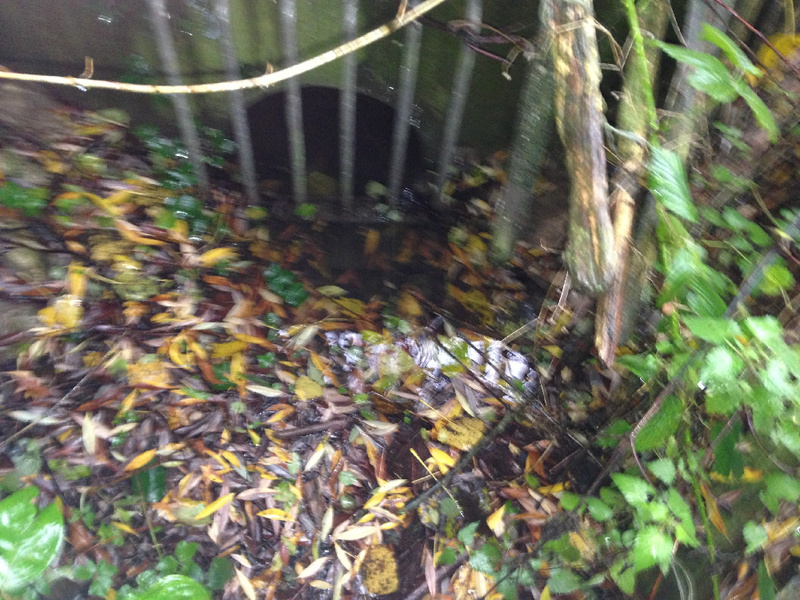 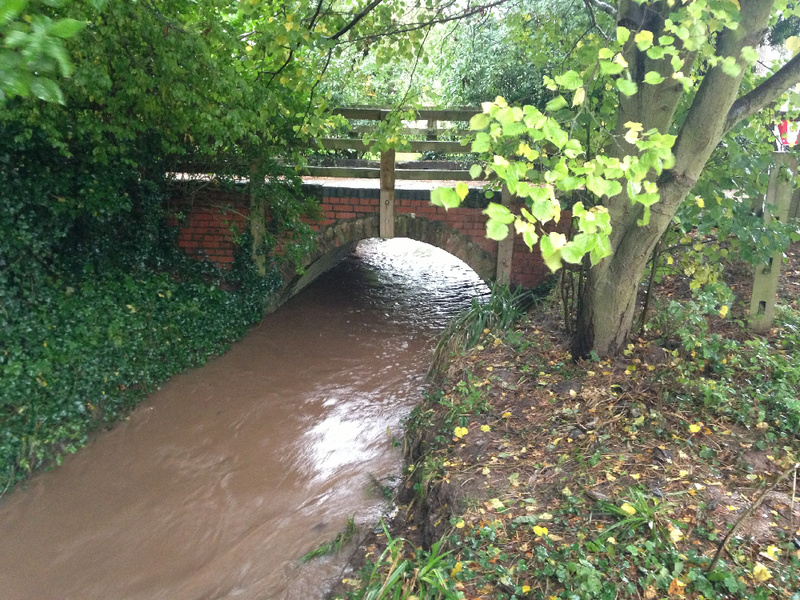 Culvert under Nottingham Road which handles the water coming out of “Springfield Dumble” which runs alongside Hallaughton Road in Brackenhurst Land.